For a limited time only, save an additional 15% on this item. Aveeno Baby Daily Moisture Lotion contains natural colloidal oatmeal blended with rich emollients to soothe your baby’s delicate, dry skin. 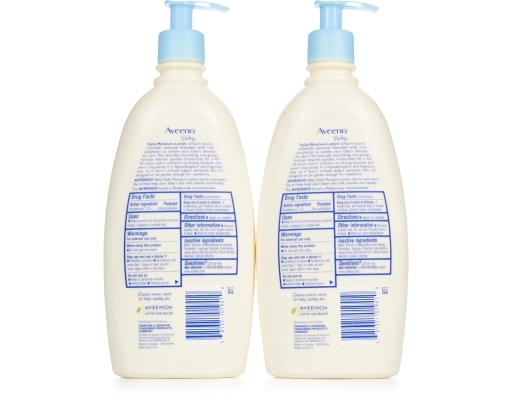 The naturally nourishing, non-greasy formula absorbs quickly, moisturizes for a full 24 hours, and it contains no drying alcohols and won’t clog pores. 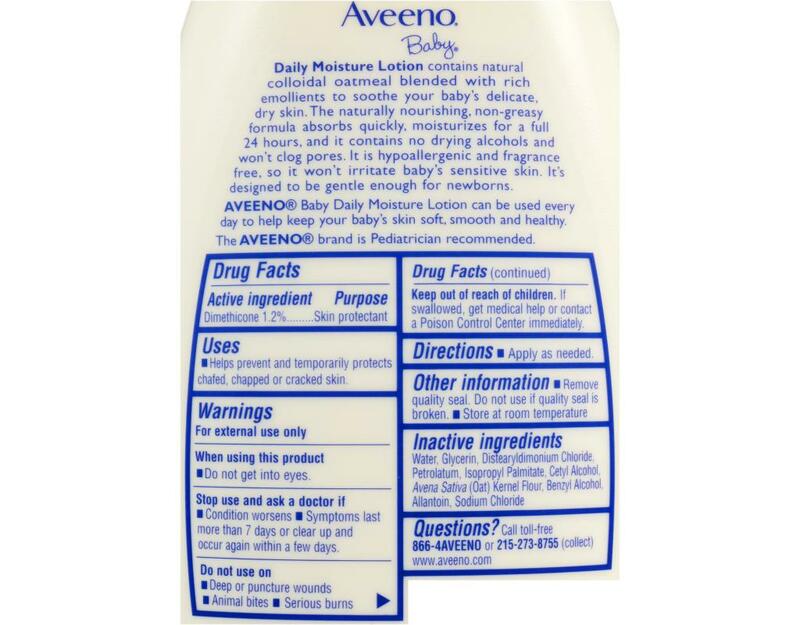 It is hypoallergenic and fragrance free, so it won’t irritate baby’s sensitive skin. 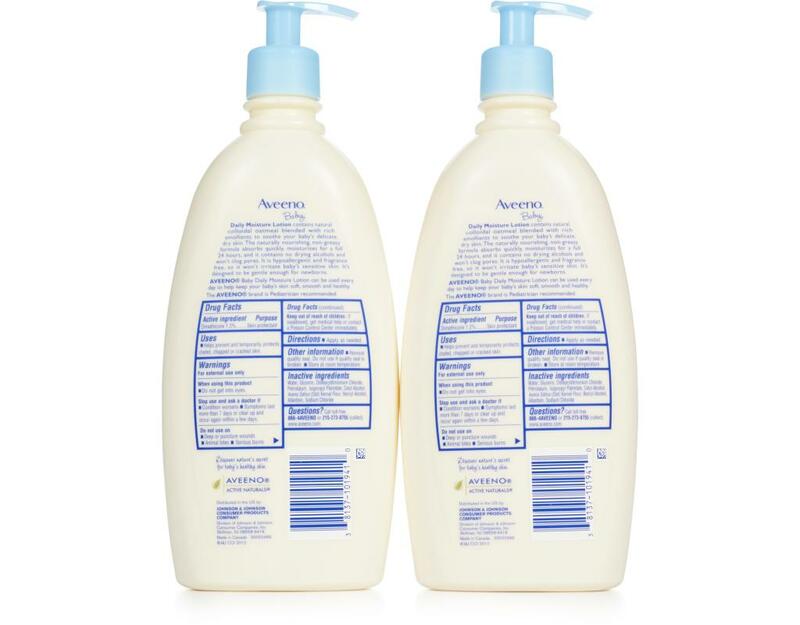 It’s designed to be gentle enough for newborns. 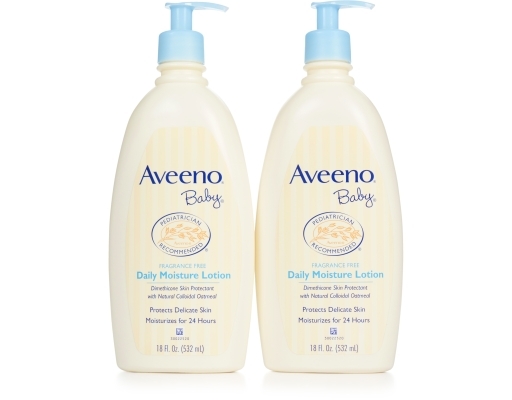 Aveeno Baby Daily Moisture Lotion can be used every day to help keep your baby’s skin soft, smooth and healthy.